In the past, the only way to find movie show times and theater locations was to check the movie section of your local newspaper. Today, there are many different ways to find move theater listings. If you have a favorite movie theater, the easiest solution might be to visit the theater chain's corporate website. Theater companies ordinarily provide a user-friendly search tool that allows site visitors to look up show times by city and state, or even by zip code. You don't have to have a particular theater in mind to use the Internet to look for movie theater listings. 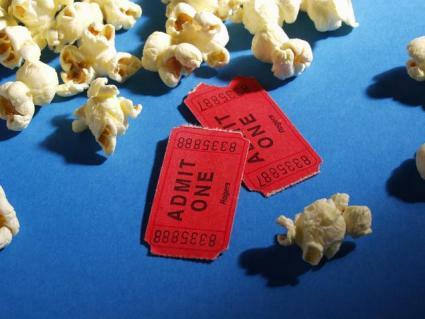 You can utilize one of the several online resources designed to help moviegoers find out where and when they can attend the movies of their choice. Fandango allows users to search for movies and theaters by city. Additionally, you can purchase your movie tickets directly from the website, which enables you to bypass waiting in line to purchase tickets when you arrive at the theater. With Fandango mobile you can even look up movie details with your web-enabled mobile phone. Fandango features a movie blog, movie trailer videos, an online movie guide, information about new and upcoming DVD releases, games, and more. You can even buy Fandango Bucks, which are gift certificates that can be used to buy movie tickets through the website. With Hollywood.com, simply enter your zip code to search for movies and show times within a specified radius of your home. The system can show you every movie and show time in your geographic area, or you can locate theaters and show times for a specific movie. Additionally, Hollywood.com users can watch movie trailers, view information about current television listings, recent DVD releases, read about featured celebrities, and even link to celebrity fan sites. Many large cities have websites dedicated to helping people find local movie theater listings. Newspapers are a great resource for finding movie theater listings both offline and online. Most theaters advertise in their town's daily newspaper at least a few days each week. Some even advertise in weekly publications, especially those that are entertainment oriented. If you don't want to look in the newspaper or on a website, you can call your favorite theater to get the information you need. Most cinemas have recorded telephone messages that will let you know which movies are showing and what times they are playing. You can always stop by your local movie theater and read the marquee to find out what movies are showing. If you are running errands and decide you'd like to see a movie, and you're near a theater, just stop by and find out when you can see the movie of your choice.